Are carbs bad for you? It depends on what type of carbs you're getting—and how much. Our post offers guidelines. The important point to remember is that all carbs are not created equal. Although most people are aware that carbs are in bread, cereal, pasta, potatoes, sweets, and soda, they may overlook them in legumes, fruits and vegetables, and dairy products. So, skimping on all carbs could mean missing out on vitamins, minerals, fiber, and phytochemicals that have been linked with lower risks of chronic diseases. Are Carbs Bad for You—and Your Weight? All carbs contain 4 calories per gram. However, mounting research shows the quality of carbohydrates you eat could make a difference when you step on the scale. 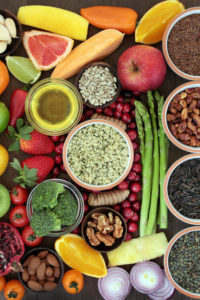 During research reported in American Journal of Clinical Nutrition (June 2015), scientists examined 16 to 24 years’ worth of prospective data from 120,784 adults from three large, long-term studies. Sugar-sweetened foods and refined grains—such as white bread and white rice—were equally associated with increased weight gain. At the same time, other research shows that consuming high-quality carbs—including whole grains, dairy, fruits, and (non-starchy) vegetables—is linked with weight loss. A prospective observational study of 133,468 adults over 24 years showed that an increased intake of starchy vegetables, including corn, peas, and potatoes, was associated with weight gain. The study was published in PLOS Medicine (September 2015). Are Carbs Bad for You If You Have Diabetes? Research published in the American Journal of Clinical Nutrition (December 2015) showed that carbohydrate quality can have an impact on your risk of type 2 diabetes. Scientists looked at data from 70,025 women in the Nurses’ Health Study over 24 years of follow-up. 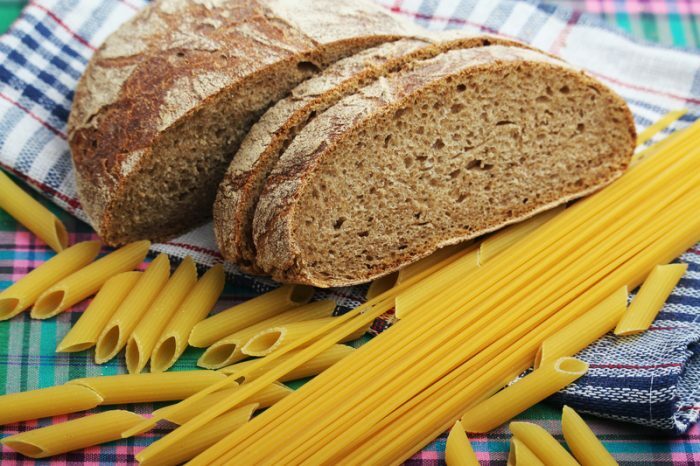 Different types of carbs had varying effects on diabetes risk. The more total fiber, cereal (grain) fiber, and fruit fiber people ate, the lower their risk of type 2 diabetes (20 percent, 29 percent, and 21 percent decreased relative risk, respectively). By contrast, this study also found that eating a lot of starchy carbs—such as white bread, refined crackers, white potatoes, and corn—was associated with a 23 percent increased risk of type 2 diabetes. This doesn’t mean you should never eat starchy carbs—just exercise moderation. For example, the USDA Food Patterns report advises a person who needs 1,600 calories a day to limit starchy vegetables to four 1-cup servings per week. Additionally, at least half of the grain servings you eat should be whole grain. To that end, replace some refined grains with whole grains. You’re less likely to overeat if you eat whole foods—whole grains, whole fruits, and whole vegetables. These foods digest more slowly and contain more water and fiber to help fill you up. On the other hand, when carbohydrate-rich foods contain added sugar and/or fat, it’s easier to overdo it. Take steps up front to moderate your intake. For example, if you have a craving for a cookie, buy one, not a whole box. If you eat pasta at a restaurant, opt for a dish with a lot of non-starchy vegetables and marinara sauce rather than cream sauce. Research evidence is very strong that people who are physically active need carbohydrates. Skimping on carbs can make exercise seem miserable, because you don’t have the glucose (glycogen) needed to fuel your muscles. Similarly, you may struggle to get through everyday activities if you’re low on carbohydrates. Rather than going light on carbs, make smarter choices. Here’s a shortcut for evaluating whether processed grain foods, such as cereal, crackers, and bread, are good choices. As a rule of thumb, look for whole-grain foods with at least 1 gram (g) of fiber for each 10 g of total carbohydrates. So, for example, a granola bar with 20 g carbohydrates and 4 g fiber is a better choice than a granola bar with 32 g carbohydrate and 2 g fiber. The food we eat offers three kinds of carbohydrates: sugar, starches and fiber. Carbs are classified as either simple or complex, depending on a particular food’s chemical structure and how quickly that food’s sugar is digested and absorbed by our bodies. Simple carbohydrates are digested quickly and send immediate bursts of glucose (energy) into the blood stream. That’s why you may feel a rush of energy when you eat a dessert, only to be followed by a crash of fatigue when that sudden burst of energy is depleted. Simple sugars are found in refined sugars, like the white sugar you’d find in a sugar bowl. Added sugars (including refined sugars) provide calories, but lack vitamins, minerals and fiber and can lead to weight gain. But not all simple sugars are alike. There are also simple sugars in more nutritious foods, like fruit and milk. These are “naturally occurring” sugars, and, unlike refined sugars, these sugars often come with vitamins, minerals, and fiber that our bodies need. Complex carbohydrates are digested more slowly and supply a lower, more steady release of glucose into the blood stream. As with simple sugars, some complex carbohydrate foods are better choices than others. Refined grains, such as white flour and white rice, have been processed, which removes many nutrients and fiber. Many foods containing refined grains—like white flour, sugar and white rice—lack B vitamins and other important nutrients unless they’re marked “enriched.” By contrast, unrefined whole grains retain many of these vital nutrients and are rich in fiber, which helps your digestive system work well. Fiber helps you feel full, so you’re less likely to overeat these foods. That explains why you will feel full longer after eating a bowl of oatmeal compared to the same amount of calories of sugary candy. 2 diabetes, are carbs bad for you, b vitamins, calories, corn, dairy, diabetes, diabetes research, diabetes risk, digestive, exercise, fiber, food, glucose, health, milk, naturally occurring sugars, nurses health study, nutrients, nutrition, potatoes, refined grains, report, simple carbohydrates, sugar, type 2 diabetes, vegetables, vitamins, vitamins minerals, weight gain, whole grain, whole grain foods, whole grains. I thought you might be interested in this article on https://universityhealthnews.com: Are Carbs Bad for You?